The Modular Mobility Ramp offers a versatility that cannot be found with any other wheelchair ramp. 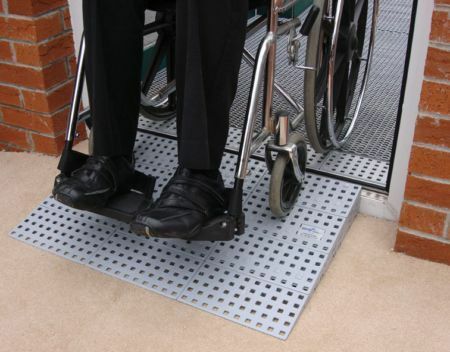 Able to solve a variety of mobility problems, this kit has a standard generous width of 750mm (29.5”) yet can overcome thresholds of up to 6 inches high. 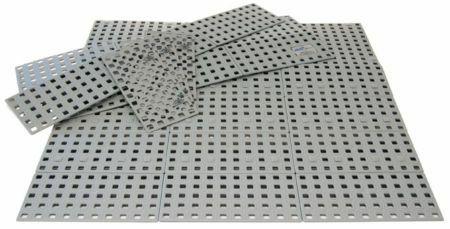 Made of high quality polyurethane, these tiles interlock to form a tough and hardwearing, strong ramp capable of withstanding a safe working load of 1 tonne per square inch. With excellent drainage capacity, this is the ideal ramp to be used for entering and leaving the home and its semi-permanent nature means there is no impact on protected buildings.